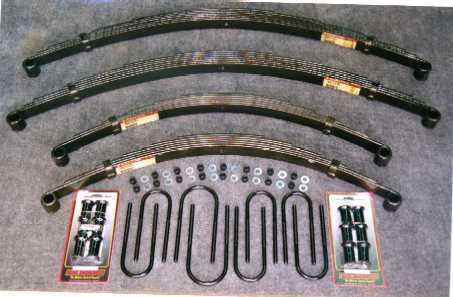 Full Set - Includes: Passenger floor area, kick panels, door panel bottoms, bed area, side walls, wheel wells, and tailgate. Front Only - Includes: Passenger floor area, kick panels and door bottoms. SOFT TOP's currently are now available ! Intermediate Steering Shafts for Scouts with Body Lift!! 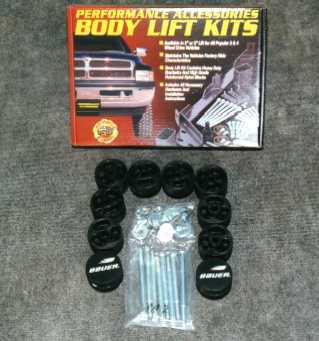 Triangle Spring Lift Kit 4"
Plus many, many more not listed here! Note: I would by far prefer to use metal! THERE ARE MANY, MANY PARTS AVAILABLE THAT ARE NOT LISTED HERE. IF YOU NEED SOMETHING THAT IS NOT LISTED, PLEASE CALL AND INQUIRE.